Russian author whose deeply psychological and philosophical novels include Crime and Punishment, The Idiot, and The Brothers Karamazov. Another work, Notes from the Underground, established him as one of the founders of existentialism. He was sentenced to hard labor in Siberia for being a part of a leftist intellectual circle. His early literary works include Poor Folk (1846) and Novel in Nine Letters (1847). His son, Alyosha, died young, inspiring a saintly character by the same name in his final and most famous novel, The Brothers Karamazov. His first wife, Mariya Dmitriyevna Isayeva, passed away in 1864. 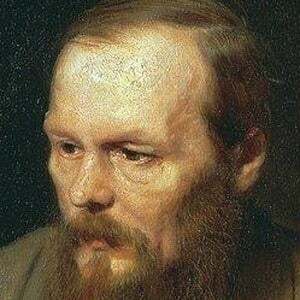 Dostoevsky then married his stenographer, Anna Snitkina, soon after she helped him write The Gambler. He and Snitkina went on to have four children: Sofiya (born 1868, died as an infant), Lyubov (born 1869), Fyodor (born 1871), and Alexei (born 1875, died at age 3). Experimental American writer, Henry Miller, had a deep admiration for Dostoevsky and found literary inspiration in his works.